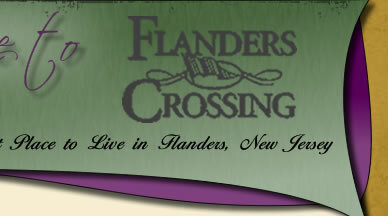 Our community website was developed by Flanders Crossing to serve as an informative resource for both our neighborhood and our local community. Please feel free to contact us with your comments and suggestions. The 2019 bulk annual clean up will occur April 22nd through April 26th. No sticker purchase necessary for removal of up to 3 acceptable items. Three large items will be picked up on your regular scheduled solid waste pickup day during this week. Non acceptable items include electronics, Freon items, tires, pianos, construction materials/ debris. If we are unable to collect this material on the day scheduled due to weather or equipment problems, we will pick them up the following day. There is no need to call our office. Review the following list of acceptable items to determine eligibility for pick-up. We are very pleased that we are able to continue to offer this valued service to our residents. In our efforts to improve all municipal services, we would be happy to take your comments and suggestions about this years change in pick-up procedures, along with any other suggestions you would like to offer. Please call the Sanitation Division at 973-691-0900 Ext. 7361, with your ideas. All furniture (such as): sofa, love seat, kitchen table and miscellaneous small pieces. Mattresses/box springs, carpet (cut and tied), small toys bagged or large toys, metal sheds (cut and tied), barbecue grills and/or metal railings. * Washers, dryers, stoves, hot water heaters, Dishwashers, riding mowers, lawn mowers. Place: Flanders Crossing Recreation Center Time: 8:00 p.m.
in seeking one of the seats and having your name appear on the pre-printed ballot, please notify Flanders Crossing Board of Directors, in writing, at PO Box 550. Flanders, NJ 07836 or email billing@flanderscrossing.org by Sunday, April 28, 2019. 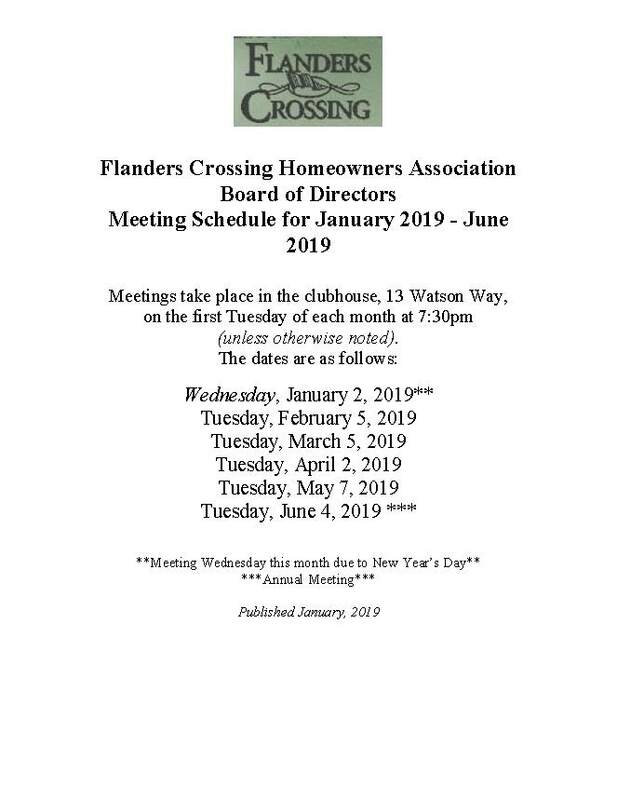 Should you have any questions or issues which you would like addressed at the meeting, please submit them in writing to the Secretary of the Board, John Kehmna, 117 Crenshaw Drive or email board@flanderscrossing.org by Friday, May 17th, 2019. Show your commitment and concern in our community by attending this special event. MARK YOUR CALENDARS NOW!!! The Township is proud to present a series of videos highlighting Mount Olive. A video tour can be viewed from our website, www.mountolivetownship.com, or by clicking on the image below. We hope you enjoy!! Mount Olive HS Lip Dub 2018! Mount Olive High School in Action! Every so often I come across things that go on in town that I enjoy sharing with you. This week the students and faculty took some time to bring out their creative side and show all that our high school has to offer. Amazing! Take a look over at Mayor Greenbaum's Facebook page for Part1 of Single Stream Recycling Video. Part 2 will be on its way. 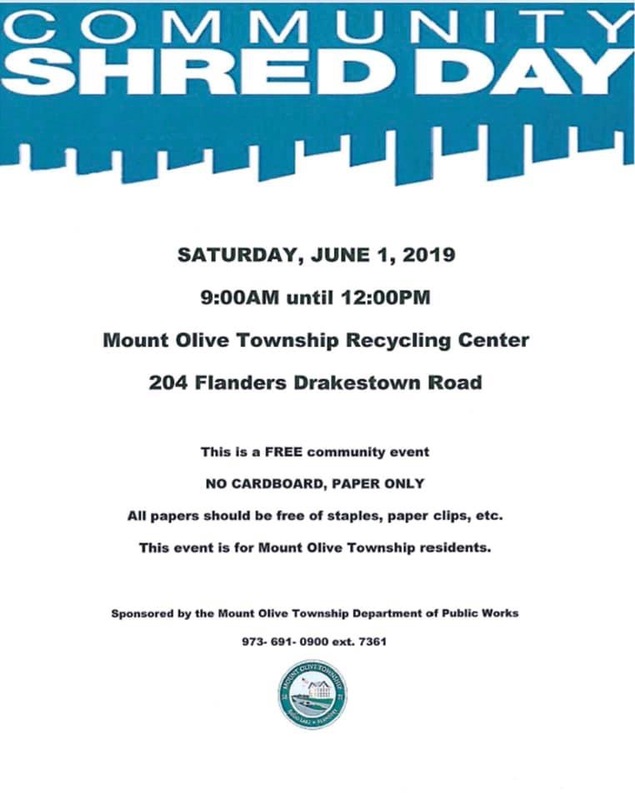 Contact the Mount Olive DPW at 973-691-0900 x7361 with any questions or just follow the Mayor or MODPW on Facebook. For complaints such as street light outage, potholes, snow plowing, garbage pick-up, property maintenance, etc. please use the link below. Your complaint will be responded to in a timely manner. Any questions, suggestions, or comments? Contact the Webmaster. FCHA residents need to register for the site to gain access to the Meeting Minutes and Rec Center information and calendar. Contact the Buildings and Grounds Committee on the Contact Us Page if you are interested in being a volunteer.